Jackson played 13 of the Chargers' 71 offensive snaps and finished with one carry for four yards and three receptions for 22 yards in Sunday's 41-28 divisional-round loss to the Patriots. 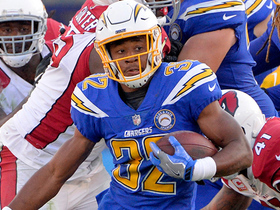 Analysis: Jackson trailed Melvin Gordon (35) and Austin Ekeler (25) in terms of offensive snaps but tied Gordon for the lead among the trio in total yardage. That wasn't a particularly noteworthy accomplishment on a day in which the Patriots' 35-7 halftime advantage forced the Chargers to abandon the run early, resulting in fewer touches than normal for Gordon. With both Gordon and Ekeler under contract through next season, Jackson will be locked in as the clear No. 3 option on the depth chart. Jackson played 21 of the Chargers' 63 offensive snaps (33 percent) and finished with seven receptions for 47 yards on 10 targets and one carry for minus-1 yard Saturday in a 22-10 to the Ravens. Jackson is likely to serve as the Chargers' No. 2 back Saturday against the Ravens with Melvin Gordon (knee) returning from a three-game absence and Austin Ekeler (neck/concussion) listed as doubtful, ESPN.com reports. Jackson carried the ball 16 times for 58 yards and a touchdown, and also caught three of his four targets for 27 yards in Thursday's 29-28 come-from-behind win over the Chiefs. 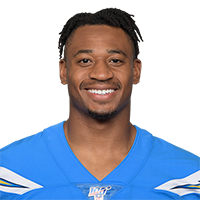 With Melvin Gordon (knee) inactive, Jackson is in line to lead the Chargers' backfield in Thursday night's game against the Chiefs. 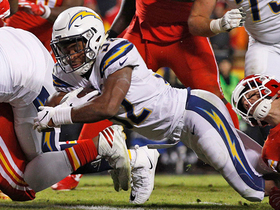 Analysis: In addition to Gordon being out, Austin Ekeler (neck/concussion) is sidelined, so Jackson is in a decent spot to put forth a fantasy-worthy effort in Week 15. Detrez Newsome and Troymaine Pope are on hand to work in reserve roles Thursday. Jackson is trending toward starting and serving as the Chargers' lead back Thursday against the Chiefs after coach Anthony Lynn told Steve Wyche of NFL Network he's "not optimistic" Melvin Gordon (knee) and Austin Ekeler (neck/concussion) will be available for the contest. Jackson had seven carries for 12 yards and caught both of his targets for 23 yards in Sunday's 26-21 win over the Bengals. Analysis: Unable to build on his breakout from the previous week, Jackson took a clear backseat to Austin Ekeler, who piled up 94 yards and a score on 17 touches (two receptions). There is some chance the rookie ends up with a larger role Thursday against the Chiefs, given that Ekeler has reportedly been bothered by stingers and Melvin Gordon (knee) is far from a lock to return. The Chargers' injury reports will need to be monitored closely this week. Coach Anthony Lynn said Wednesday that Jackson should get more work before halftime this week, though Austin Ekeler is still in line for the start Sunday against Cincinnati. 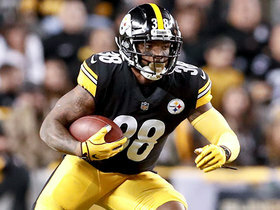 Jackson rushed eight times for 63 yards and a touchdown, adding 19 more yards on his lone reception in Sunday's 33-30 win over the Steelers. Jackson carried the ball seven times for 57 yards Sunday in the 45-10 win over the Cardinals. Analysis: Jackson saw extended work as the game got out of hand by the end of the third quarter. 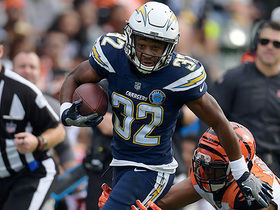 The rookie running back could see a few more looks next week if Melvin Gordon (knee) misses time as expected according to Eric D. Williams of ESPN.com, but Austin Ekeler will likely be the first in line for additional carries. Still, Jackson showed Sunday that he has the potential to be explosive if given the opportunities, bursting for a 20-yard carry in the fourth quarter. Jackson carried the ball two times for three yards and also tacked on an 11-yard reception in Sunday's 20-19 win over the Titans. 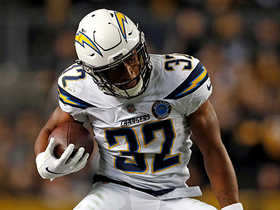 Jackson is expected to take on an elevated role in the team's offensive game plan Sunday against the Titans in London with Melvin Gordon (hamstring) inactive for the contest, Ricky Henne of the Chargers' official site reports. Jackson carried the ball three times for four yards and also caught one pass for eight yards in the 38-14 win over the Browns on Sunday. 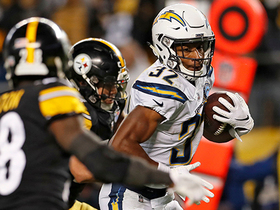 Analysis: Jackson saw his first work of the 2018 season as the Chargers boasted a double-digit advantage well into the fourth quarter. The rookie has been active in each of the past two games, but has mainly played on special teams. The Chargers signed Jackson to the active roster Monday, Eric D. Williams of ESPN.com reports. Analysis: Jackson joined the Chargers' practice squad on Sept. 4 after being waived by the team during final roster cuts. To make room for Jackson, Los Angeles waived third-string running back Detrez Newsome. A 2018 seventh-round draft pick, Jackson will join Melvin Gordon and Austin Ekeler in backfield. Jackson cleared waivers Tuesday and joined the Chargers' practice squad, Eric D. Williams of ESPN.com reports. Analysis: Jackson was drafted by the Chargers in the seventh round but was unable to earn a spot on their 53-man roster to start the year. However, he is now set to work on the practice unit throughout the season and could potentially work his way up to the roster depending on injuries ahead of him on the depth chart. The Chargers have waived Jackson, the team's official site reports. Analysis: A seventh-round selection, Jackson missed most of training camp and the preseason as he battled a hamstring injury. As a result, he has missed out on a 53-man roster spot with the club and will now have to look for work elsewhere. Jackson (hamstring) took seven carries for 18 yards and didn't draw any target in Thursday's preseason finale against the 49ers. 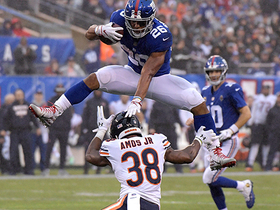 Analysis: Though he didn't do much in his first NFL appearance, Jackson at least seems to have made it through the game without aggravating his hamstring. Despite entering training camp as the favorite for the No. 3 RB job, the rookie seventh-round pick doesn't seem like a lock to make the 53-man roster. Detrez Newsome likely would be the one to benefit if the Chargers were to put Jackson on their practice squad. Jackson (hamstring) is expected to make his professional debut during Thursday's preseason game against the 49ers, Jack Wang of the Orange County Register reports. Analysis: Jackson missed the Chargers' first three preseason games due to a hamstring injury he picked up early on in training camp. However, the seventh-round rookie has been trending in the right direction and seems ready to make a case for No. 3 duties on the depth chart under Melvin Gordon and Austin Ekeler. Jackson (hamstring) did not suit up during the Chargers' preseason contest against the Saints on Saturday, Jack Wang of the Orange County Register reports. Analysis: It's difficult to get a pulse on Jackson's health, as the Northwestern product was practicing with the team last week but has mysteriously been unable to compete in either of the last two preseason contests. Jackson's absence has lead to Detrez Newsome earning the bulk of the third-string carries, and with just one preseason contest to go, it's unlikely Jackson will be able to wiggle his way back into a pivotal position on the depth chart. Jackson (hamstring) did not play in Saturday's preseason game against the Seahawks. Jackson (hamstring) returned to practice Tuesday, Eric D. Williams of ESPN.com reports. Analysis: Jackson was sidelined for a week with this hamstring issue. The rookie seventh-round pick will make his preseason debut Saturday against the Seahawks, and it'll be a true test of his abilities to make the 53-man roster. Jackson has a good shot after finishing with the third-most rushing yards in Big Ten history (6,289) and having little proven competition for the No. 3 RB spot. Jackson suffered a hamstring injury during training camp which is expected to keep him off the field for an extended time, Jack Wang of the Los Angeles Daily News reports. Analysis: Jackson is expected to be back healthy at some point during the preseason, but the injury squashes any bit of momentum the Northwestern product had been building in an effort to claim a spot on the 53-man roster. The untimely issue means that undrafted rookie free agents Russell Hansbrough and Detrez Newsome will see an increase in reps. With the No. 3 role behind Melvin Gordon and Austin Ekeler still wide open, either player could wiggle ahead of Jackson if he misses extended time. Jackson, the 251st overall pick in April's draft, appears to have a path to a meaningful role, Ricky Henne of the team's official website reports. 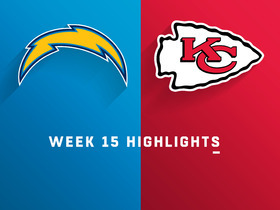 Watch the game highlights from the Week 15 matchup between the Los Angeles Chargers and the Kansas City Chiefs. Los Angeles Chargers running back Justin Jackson rushes in for a 3-yard touchdown against the Kansas City Chiefs. 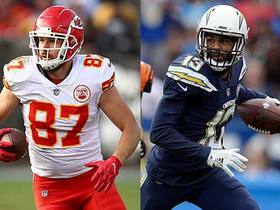 NFL Network's Marcas Grant and Michael Fabiano project fantasy stat lines for marquee players from the Los Angeles Chargers and Kansas City Chiefs playing on "Thursday Night Football". NFL Network's Matt "Money" Smith shares the daily fantasy value players for Week 15. Take a look at the best runs from around the NFL during Week 13. 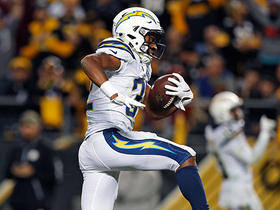 Los Angeles Chargers running back Justin Jackson jukes his way through the Pittsburgh Steelers for 18 yards. Los Angeles Chargers running back Justin Jackson makes huge pickup on second straight play. Los Angeles Chargers running back Justin Jackson gives chargers first lead of the game on a shifty touchdown run. Los Angeles Chargers running back Justin Jackson uses his speed to rush up the field for a 20-yard gain.